I know a bunch of you were asking when Mountain Fresh Creamery will have cream again. They just listed a fresh batch of cream on the market website! This cream freezes well, so order extra to freeze so you can guarantee you’ll have some when it’s not available. Also, eggs from Covenant Family Farm was listed late and are now available as well. The market is now open for ordering! Please place your orders by Sunday at 5pm. Just a reminder if you are going to be away next week for Spring Break please make sure you put a vacation hold on your Nature’s Garden Delivered produce box if you are scheduled to receive one. You can simply do this online or give NGD a call and they can set it up for you. The evites have been sent for the two events I’m coordinating-Great Harvest Bakery Tour and Vendor Tasting- April 8th at 3pm and Family Fun Day at the Farms- April 10th starting at 10am-B&G Farm, Rocky Acres Farm and Johnston Family Farm. If you can make it please rsvp so we can know how many adults and kids to expect. There is no charge for either of these events. If you are coming to the farm tours please make sure to bring your lunch. I will forward the evite to those of you that have just joined the mailing list. With the Farmer Market season starting, we are looking for outgoing, friendly, reliable and enthusiastic people interested on representing our products at the markets. We are looking for help with the Saturday markets in Sandy Springs and Marietta. If you are interested or know someone that could be interested to become part of our team, please contact us by email to: info@altacucinaitalia.com for more information. Below are the markets Orobianco will participate in and need help. Marietta – Every Sunday 12-3pm from April 7th. This weekend we will be taking pre-orders for Wilderness Family Naturals products! http://www.wildernessfamilynaturals.com/ Our buying club prices are significantly lower than their retail prices and include taxes, shipping and fees. WFN is out of stock on a few items that we usually order such as the mayonnaise. I contacted them and they are having an emulsification issue and have hired an outside consultant to help them resolve this issue. They cannot give me a date when this product will be available again but they are hoping to have it soon. Covenant Family Farms is back on and will have their beautiful blue/green/brown free range eggs available weekly. They will also list any organic and organically grown fruits and vegetable they have on occasion as it becomes available. For those interested, I put my Single Brew recipe in the “Recipes” section on the market site. I compiled a couple recipes and came up with one that worked for me when I first started making kombucha 5 years ago. It’s a great beginner recipe to get the hang of brewing this wonderful probiotic drink! I am coordinating 2 events during Spring Break week. This is a great opportunity for you to meet the farmers and vendors. Look for an Evite to come soon. These are kid friendly events and I hope you and your family can make 1 or both events! I will bring information about our co-op at both events so feel free to invite friends and family. Ray Boland, owner of Great Harvest Bakery in Duluth will give us a group tour of the bakery demonstrating the flour mill, sprouting grains, how they bake their bread. This is a wonderful educational experience for the kids (and adults) to see how their bread is made. Afterwards, we’ll have a few of our vendors do a tasting of their delicious items and/or a demonstration. Lynda from B&G Farm has offered to sponsor this year’s Family Fun Day! You will be able to see her animals and many acres of green pasture they graze on. Right now she has lots of baby piglets running around! For the kids, she’ll have her jumpy jump set up for them to play. Plan to bring a lunch and enjoy some time meeting her and hanging out on her farm. After lunch we’ll head to Johnston Family Farm in Newborn which is close to Lynda’s farm. Russell will give us a tour of his dairy and farm. This is a great opportunity to see where your food comes from and to meet the farmers that provide it. Wishing you and your family a very blessed Easter weekend! This weekend I will be taking orders for organically produced Maple Syrup – Grade B and Unfiltered Grade B Maple Syrup from Old State Farms in Northern Pennsylvania. The Burkett family has been producing maple syrup on their farm since 2001. We partner up with Joyful Noise Acres Farm in Ballground, GA to get bulk pricing and reduced shipping. We only order this once a year! My family easily goes through a gallon each year. This is a delicious nutrient dense traditional sweetener that has many uses besides a great pancake syrup. Use it in smoothies, glazes for salmon & chicken, marinades, yogurt & ice cream topping, maple butter, vinaigrettes, etc. and baking. This maple syrup is organically produced, no chemicals, formaldehyde-free, no sprays or fertilizers used on trees, evaporator is stainless steel (lead free) and they practice Low Impact Maple Production. What is unfiltered maple syrup? Maple Sap is tree’s the primary source for nutrients. When the tree’s root system begins pumping sap up the trunk to feed the tree in early spring it brings with it many nutrients and minerals (Thiamine, Riboflavin, Niacin, Pantothenic Acid, Calcium, Iron, Magnesium, Phosphorus, Potassium, Sodium, Zinc, Copper, Manganese & Selenium). Old State Farms collect the sap and boils off water until the syrup reaches the proper density (66.7brix). During the boiling process only the water evaporates. Not only does the sugar concentration increase, so does the mineral concentration. These minerals begin to collect to one another and form small granules (known to syrup makers as “sugar sand” or niter). This “sugar sand”, given this name because of its light blond color and slightly gritty texture, is then filtered out of the maple syrup. Unless you have asked for it specifically from a producer, any syrup you will find will be the filtered variety and look very clear. In a nutshell unfiltered syrup is pure maple syrup with all the minerals and nutrients that were present when the sap was collected from the tree. It tastes the same and looks the same but will have a cloudy rather than clear appearance. This is a pre-order and payment will be due at next week’s pick up or you can mail your check. Our order will take several weeks since Joseph is still tapping the trees. I will contact you as we get closer to a delivery date. I’m very happy to welcome JavaGenesis Coffee Roasting, From Mimi’s Mountain Home and Royal Rose Bakery to our family of growers and vendors! In the effort to try to get as many local vendors as possible for the co-op to support, I recently decided to switch coffee roasters. That same day I made this decision is the same day Juanice from JavaGenesis contacted me. I think it was meant to be! She roasts the coffee beans at the roastery in Bethlehem, GA about 40 minutes from Suwanee. You will now be able to get your coffees weekly instead of monthly! Whole beans and ground coffee will be offered. She will custom grind for you as well. If you choose ground coffee, it will be assumed for a drip coffee maker but if you need French press or a Keurig grind please email her after you order. All decaffeinated coffees are decaffeinated using the Swiss Water Process. SWP uses water from the coast mountains of British Columbia to gently remove the caffeine until the beans are 99.9% caffeine free, while maintaining the bean’s distinctive origin and flavor characteristics. No chemicals were used to remove the caffeine from the coffee. JavaGenesis Coffee Roasting is a small batch craft roaster of specialty coffee. We source our coffee from the major growing regions around the world. All of our coffee will be roasted within 24-48 hours of the market to ensure our product is at peak freshness when it is delivered to you. Choose a trio of our 2 ounce sample size or a full pound bag and ‘Discover the Fresh Roast Difference’. In addition to producing awesome coffee, promoting responsible environmental and/or social stewardship is important to us. Because Georgia does not have the climate needed to grow coffee, we use 3 importers to source our green coffee. We select coffee from our importers that have been farmed using sustainable practices and when possible we buy shade grown and/or fair trade organic coffees. We roast on a roaster which uses infrared burners, not open flame, atmospheric burners. IR burners produce substantially lower emissions than atmospheric burners. We are proud to roast our coffee on a ‘greener’ roaster. In addition we give all of our organic waste material (coffee chaff, coffee grounds, etc) to a local gardener to use in her vegetable garden. If you picked up on Tuesday you probably saw and smelled the wonderful cleaning and bath samples From Mimi’s Mountain Home. All of their products are 100% natural, handmade and homemade. No synthetic chemicals or fragrances. Check out the Weekly Specials section for their starter kits. This is a great way to try the products at a reasonable price! Everything we sell as homemade is truly homemade, right here on the north side of Atlanta! Our products are NOT purchased from a factory and repackaged to be “homemade”. All of our recipes are passed down from my grandmother, “Mimi” (and her mother too!). Some are quick to make, and some take days to make, but Mimi always said that patience makes perfect! All of our products are 100% Natural, No Manmade Colors or Scents! We use natural coloring and essential oils! Since we are just starting out, our products are limited, but we will be adding new products monthly (if not weekly)! If something isn’t here and you need it, just ask! Like her cookie jar, Mimi’s recipe book is almost never-ending! Also, we hand-make everything that is labeled “homemade”… the old fashioned way. Sometimes our products will vary slightly between batches. Royal Rose Bakery specializes in genuine French baked goods. 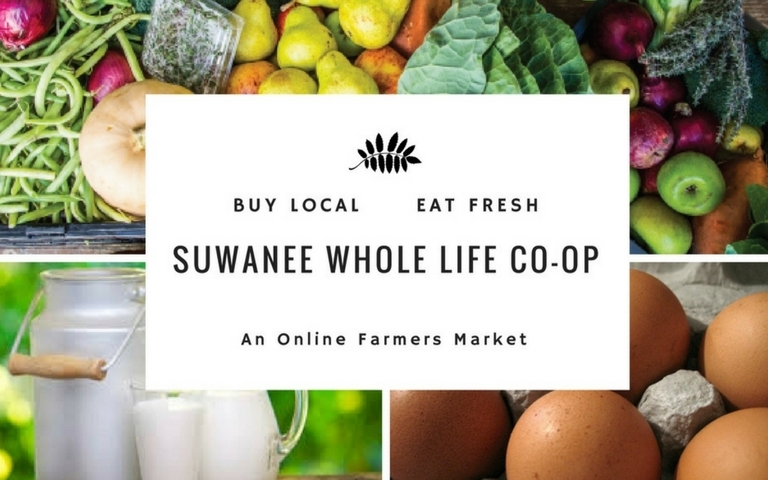 They will provide the co-op with quiches, with a crust free option, dairy free cookies, cakes low in sugar and wheat free (gluten free) bakery items. All our delicious and very tasty goods have a distinctly homemade look and are made from scratch with no preservatives and the finest ingredients as well as other local and organic ingredients that will awaken your taste buds! Royal Rose Bakery’s owner grew up in the South of France enjoying her mother’s delicious and very tasty baked goods. Those delicacies were always deeply appreciated by friends and family. Since moving to Georgia in 2000, our founder continued the family tradition of making her mother’s goodnesses. Today, thanks to Royal Rose Bakery, you can now also enjoy these delightful treats… BON APPETIT!! Lynda from B&G Farm has offered to sponsor this year’s Family Fun Day! You will be able to see her animals and many acres of green pasture they graze on. Right now she has lots of baby piglets running around! For the kids, she’ll have her jumpy jump set up for them to play. Plan to bring a lunch and enjoy some time meeting her and hanging out on her farm. After lunch we’ll head to Johnston Family Farm in Newborn which is close to Lynda’s farm. Russell will give us a tour of his dairy and farm. This is a great opportunity to see where your food comes from and to meet the farmers that provide it. The market will open tomorrow around 7am and you can place your orders until 5pm on Sunday. We thank you for your interest and support of our efforts to bring you the healthiest, the freshest and the most delicious foods possible! I have a FREE ticket to this year’s WAPF (Weston A. Price Foundation) Conference. My childcare fell through and my husband can’t attend. The conference is tomorrow starting at 8am. Reply to this email if you want the ticket! A conference on making nutrient-dense foods work for you! Registration is at 8am and Lectures begin at 8:30am with breaks and great workshops in between. I’ll email more details. I forgot to mention yesterday in the Co-op news that I will be offering FREE Kombucha Tea starters. A $1 refundable jar fee is charged and your account will be credited once the jar is returned. Make your own delicious, probiotic rich, organic kombucha tea at home for a fraction of the cost of commercial bottled teas! Cultures For Health has a wonderful YouTube video on how to make Kombucha Tea to get you started. The kombucha SCOBY is listed on the market website to order.